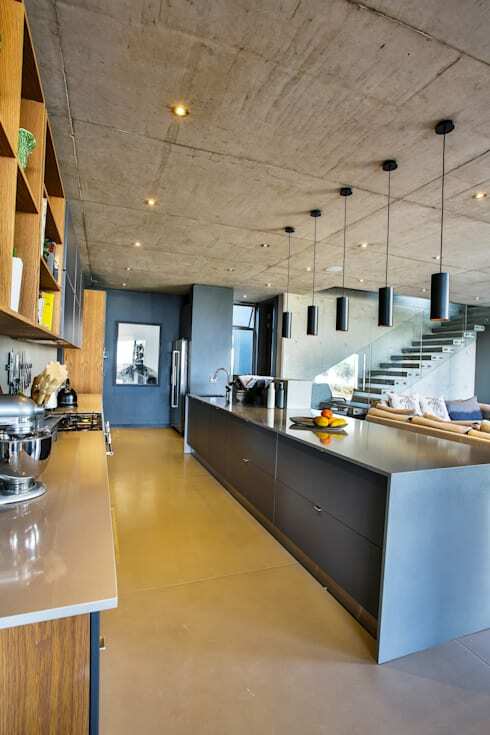 When Pretoria-based firm Blunt Architects were tasked with designing a house in the Bronberg Nature Reserve, they knew they had their work cut out for them. 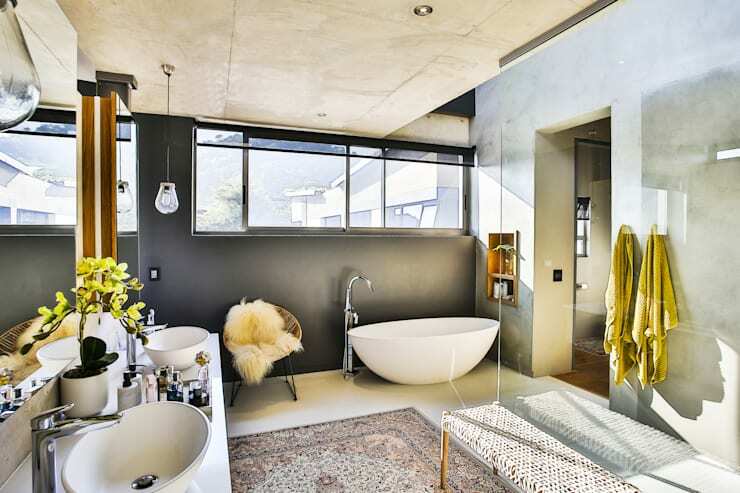 Situated on a restricted north-facing sloping site, their brief called for a home which opens to the northern side, yet still allows for plenty of privacy when entertaining guests. With a beautiful location (on an admittedly difficult site) as their jumping-off point, the team set out to do what they do best. 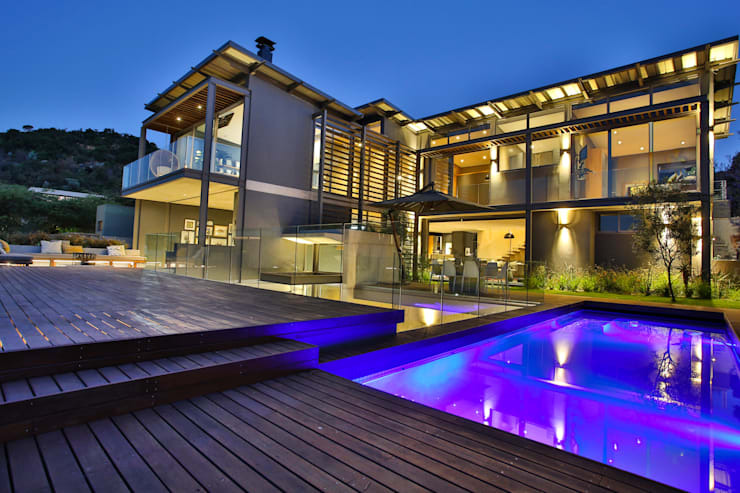 Even though the artificial lighting fixtures which come alive at night make this house positively shine, the structure is quite the eye catcher during the day, too. It’s embedded into the hillside, effectively creating a basement parking and entrance lobby on the ground floor. 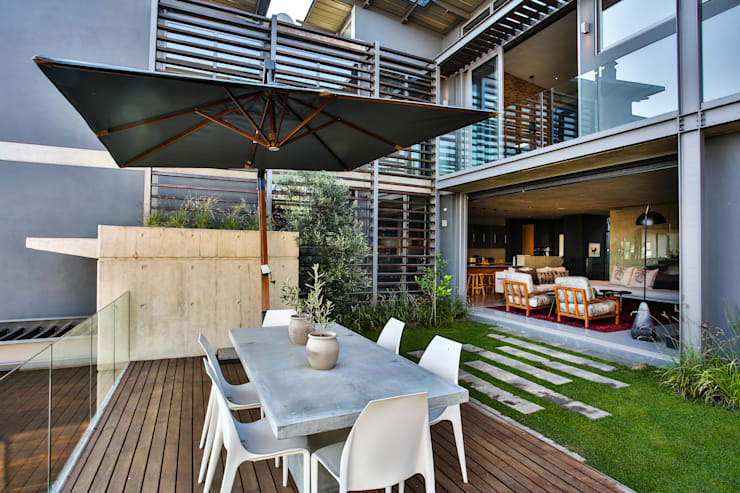 One storey up, the living-, dining- and kitchen areas open up onto the spacious poolside deck and entertainment area. Floor-to-ceiling windows and glass doors allow generous natural lighting and splendid northern-side views to flood in on a day-to-day basis (just like the brief stipulated). 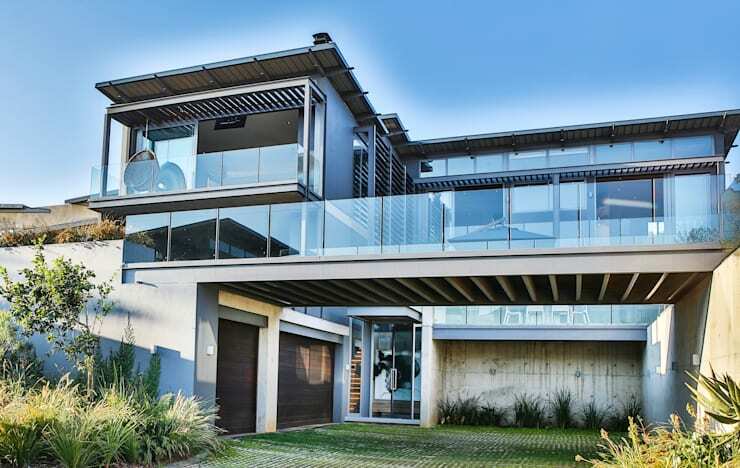 This magnificent structure is undoubtedly of the modern style, yet a closer inspection reveals a refined mixing of various materials and textures. 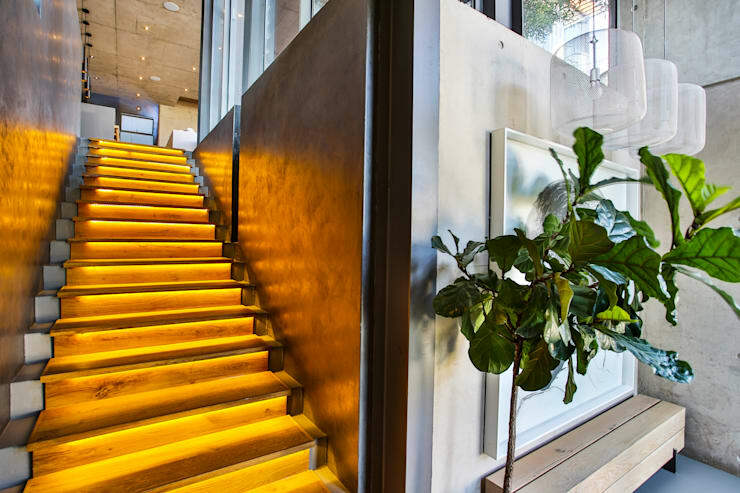 Concrete, stone, glass, wood and many other surfaces conjure up an almost eclectic flavour, balanced quite brilliantly by the lush foliage that ensure a fresh touch on the outside. 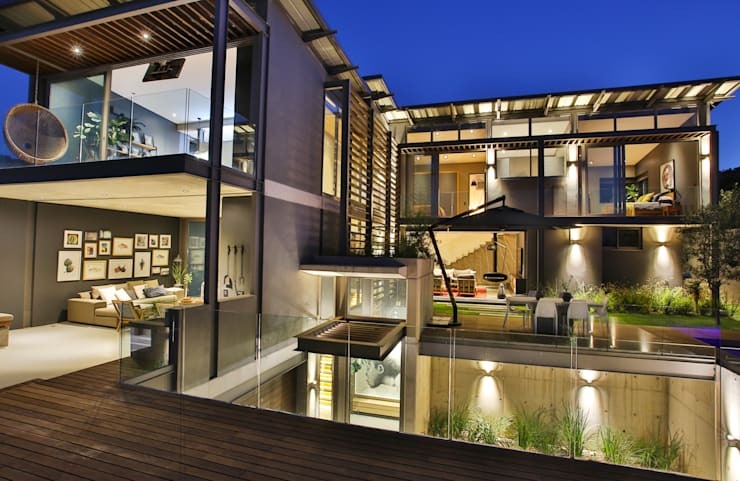 The animation here showcases the stunning exterior of House Pautz from different angles. Oversized terracoat floor tiles lead us right up to the kitchen. Here, an elongated breakfast bar firmly announces the start of the culinary zone (and effectively separates it from the adjoining living spaces). 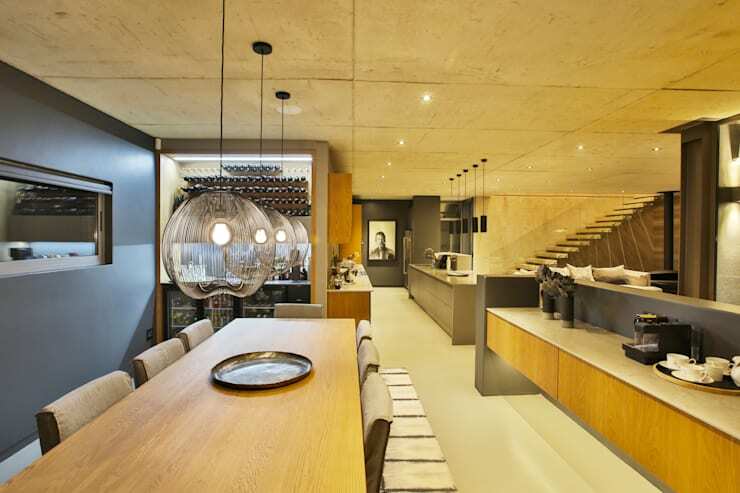 Layered lighting (ceiling downlighters, dangling pendants, etc.) ensures an adequately lit-up working space while also bringing about an abundance of almost industrial-style charm and character. A hop and a skip away from the dining room is where we encounter the covered patio, separated stylishly via sliding glass doors. 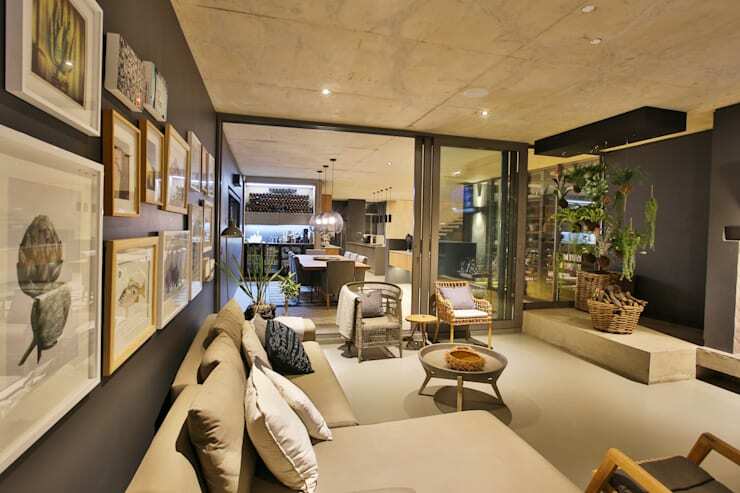 Wicker textures, botanical prints, and earthy/neutral colour palettes are the ideal finishing touches for this outdoor living/socialising space. 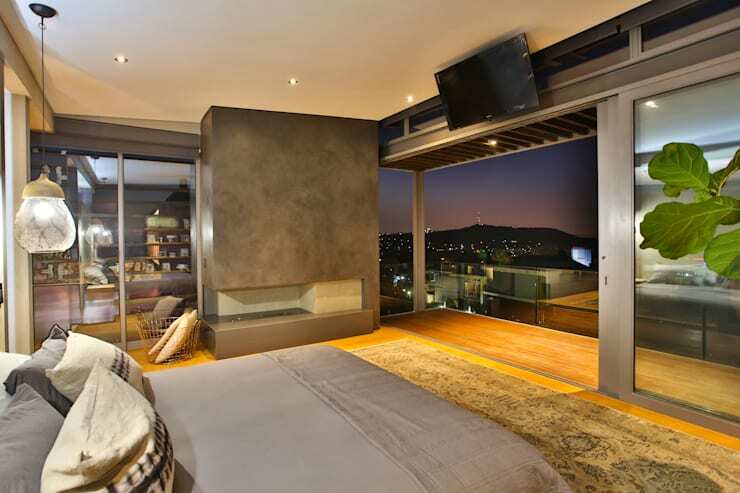 For the main attraction (the main bedroom), the best of the view was reserved: a lookout onto the eastern suburbs of Pretoria, which become a glittering cityscape by night. A dressing room and en-suite bathroom up the lavish factor quite significantly, as well as that spacious wooden-deck patio outside. 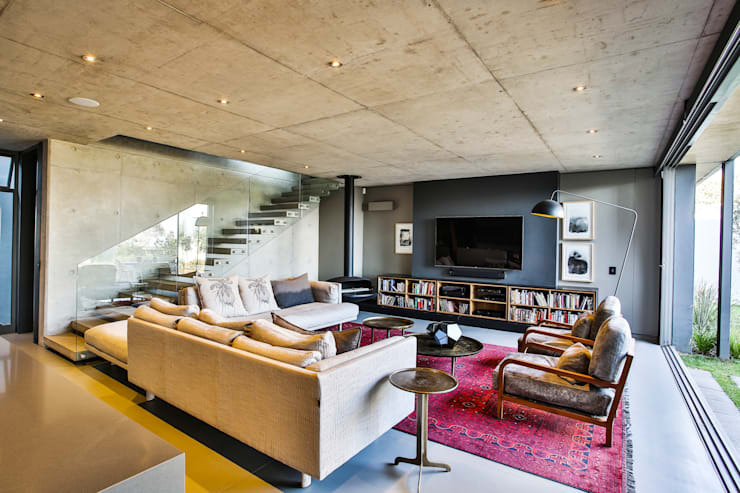 From one province to another, let’s enjoy The elegant Stellenbosch home with vineyard views.